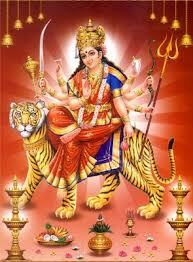 Dasara is the tenth day and the day after the Durga Navaratri festival of the month of Ashwin or Ashweyuja. Dasara is celebrated on Aswayuja sukla paksha Dasami.Dasara is the most important day of the Sharad Navaratri festival of Goddess Durga and is the next day after Navaratri. This year Dasara is celebrated on Saturday, 9th October, 2027. Dasara is celebrated for different reasons in different parts of the country.In north India Dasara is celebrated to mark the victory of Lord Rama over the great demon Ravana. On Dasara or Dusshera large effigies of Ravana and his brother Kumbhakarna are prepared and burnt.The burning of Ravana and Kumbhakarna in the Ram Leela Maidan is the most famous one during Dasara. Dasara is one of the three days in the year which is considered to be an auspicious day to start new ventures as it is believed that any new venture which is started on Dasara will be successful. Ayudha Pooja or worshipping of vehicles, instruments is a common practice on Dasara. 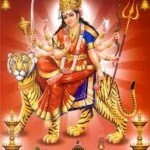 Dasara is known as Vijaya Dasami in some parts of the country.